Combination of TX-ECO technology and driver training with permanent feedback reduces fuel consumption up to 10 percent. Significant savings, also in maintenance costs, are achieved as a result of longer lifetime of brake discs and gearboxes. Raise productivity, cut costs. Small and midsized transport companies face this challenge more than ever. Reason: the depressed market and rising operational costs reduce profit margins and compel rapid introduction of modern IT and telematics systems. 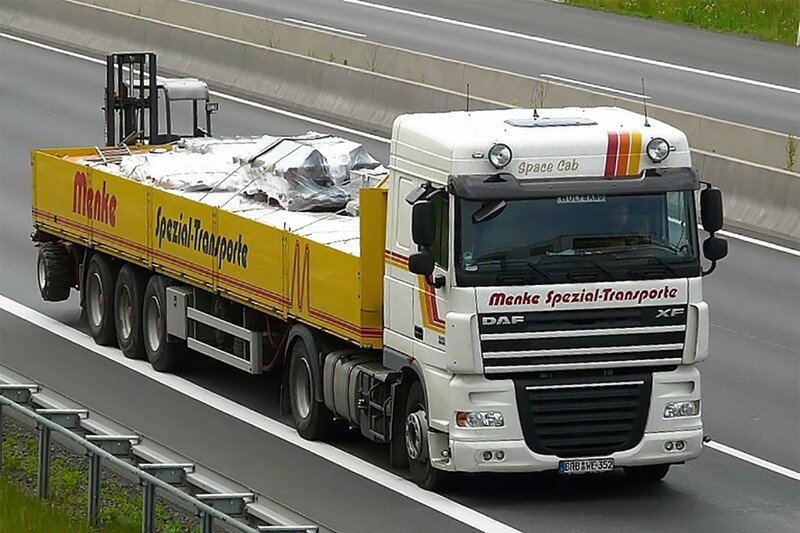 Menke Spezial-Transport GmbH & Co. KG, based in Westerkappeln, has decided to install, after an extensive pilot phase comparing three solutions, 150 TX-MAX on-board computers from Transics. In order to integrate subcontractors into the new fleet management system, an option was agreed on with Transics for a further 100 units. The new Menke fleet management system from Transics provides a complete solution for the digital tachograph with recording and transmission of driving and rest periods in real-time plus the data download of the digital drivers’ card without additional hardware integration into the on-board computer. Another feature is a new Transics solution for the off-station reading and archive recording of the digital bulk memory (without the need to insert the company card in the vehicle). Menke can also optimise vehicle navigation – specific to the journey tasked – directly from the company’s own back office software. The TX-ECO hardware and software simultaneously ensures economical and ecological driving by the operator. Menke Spezial-Transport GmbH & Co. KG has about 200 personnel members and operates over 150 of its own truck units. The fleet’s main focus is meeting the demands of operating high-performance building logistics. The core of Menke’s fleet is provided by crane and stacker trucking units. The company also operates special vehicles for drink and steel transport plus soft-sided and high-volume road units. The entire fleet is focused on the manufacturer DAF, with which a close cooperation and trading relationship has existed for two decades. The group was established in 1969 by Jürgen Menke in Osnabrück and is currently represented in the four locations Brandenburg an der Havel, Heiligenstadt, Reetz and Westerkappeln. The Polish company Menke Logistics Sp.z.o.o., established in 2004 in Wroclaw (Breslau), operates its own 15 truck units. Transics International N.V., established in 1991, develops and markets high-end fleet management solutions for the transport and logistics industries. Through many years of experience, intensive research and development work plus great attention to the needs of users, Transics has developed into the European leader in this sector. The number of delivered telematics units has now risen to over 64,000 provided to around 1,000 customers. The Transics complete solution comprises the on-board computers TX-MAX and Quattro Plus, the partner software TX-CONNECT, GPRS communications, an extensive hosting function plus multilingual support. Along with its headquarters in Ypres (Belgium) and Transics Deutschland GmbH in Cologne, the company is represented in most European countries. Transics employs about 250 employees (including 40 in research and development) and since 2007 has been listed on the stock exchange Euronext Brussels (TRAN).